If you would’ve told me a few years ago that I’d be producing blogs, videos and photographs as a content marketer, I probably would’ve asked, “what is content marketing?” After finishing college with a journalism degree, my plan was to land a job as an editor at an outdoor publication like Field & Stream or Outside. Of course, that was then. Fast forward through four years that included freelancing for dismal pay, writing for a magazine that folded, and working way harder for a newspaper than my salary warranted, I became fed up with the print industry and looked elsewhere. I was lucky enough to find a home in the content marketing department at Lewis Communications, which I quickly learned was the perfect match to utilize my writing skills while building upon new ones like producing videos and photographs. As a content marketer, I’m still telling stories. Still writing every day. Still editing. Although I can rest easy knowing the future of content marketing is strong (unlike print journalism, which I’ll get into). The story of my early career, I’ve found, is the story of modern journalism, which includes photographers and videographers. As more journalists and videographers are leaving the print and broadcast industry, they’re finding a home with brands looking to bolster or build content marketing departments. Take GE, for instance, which focused on content marketing to increase returns and become one of the top content production companies in the world. At the helm of that effort is former Forbes reporter, Tomas Kellner, who not only sees the value in finding the best stories, but also marketing them to the public. Then, there’s Stephen Regenold, a former reporter with The New York Times who started an online blog called Gear Junkie in 2006. 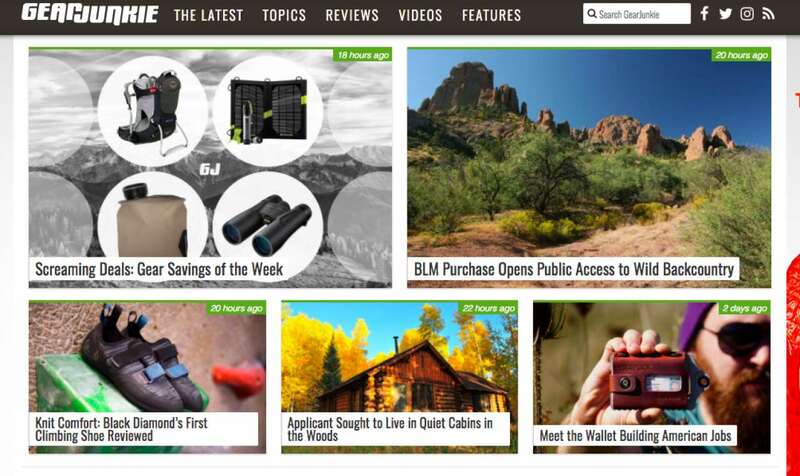 The website now reaches millions of people every week and partners with top outdoor brands like Cabela’s, Keen and Columbia. A former reporter for The New York Times started a blog that has turned into a highly successful resource in the outdoor recreation industry. What separates the run-of-the-mill content from truly great stuff is quality—the better the videos and articles, the more engagement that brand receives from its audience. That’s where journalists, photographers and videographers have helped various outdoor brands’ content departments shine. Journalism is in the midst of a transformation. According to a report produced by the Columbia Journalism Review, “the economic foundation of the nation’s newspapers, long supported by advertising, is collapsing, and newspapers themselves, which have been the country’s chief source of independent reporting, are shrinking—literally. Fewer journalists are reporting less news in fewer pages, and the hegemony that near-monopoly metropolitan newspapers enjoyed during the last third of the twentieth century, even as their primary audience eroded, is ending.” In comparison, all a manufacturer has to do is sell products. And how do they do this? Marketing. More specifically content marketing. The report goes on to state that even commercial television news, long a rival of print newspapers, is losing advertising revenue due to a shrinking audience. This trend isn’t expected to change any time soon, either. According to the Bureau of Labor Statistics, there were about 55,000 reporters, correspondents and broadcast news analysts as of 2016. It’s predicted that by 2024, there will be 4,800 fewer of those jobs available, a nine percent decline. So what does all this mean? For journalists, newspapers and magazines are no longer viable sources of reliable, well-paying jobs. In many cases, these publications aren’t relying on full-time employees, but instead are switching to freelancers that they can pay less without providing benefits. In other instances, resources are siphoned away from one department to make way for newer technology in hopes of increasing revenue and decreasing overhead. A prime example is from the Chicago Sun-Times, which in 2013 laid off all of its full-time photographers in an effort to focus more on online video. Outdoor writers and photographers who once worked for traditional print outlets are finding new homes with brands that produce high-quality content to reach their audience in a more intimate manner. 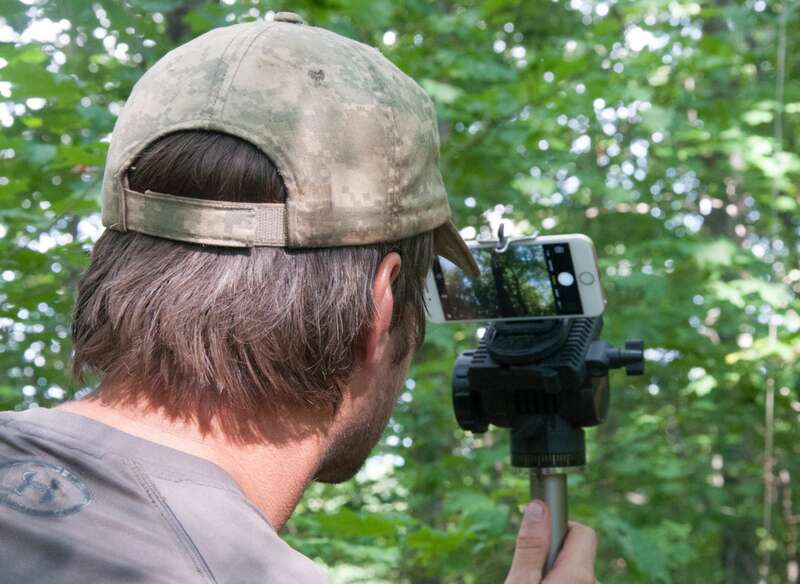 Discussing the growth of content marketing in the outdoor industry starts with brand visibility—after all, the goal is to increase consumers’ awareness of a brand. Let’s consider an example. When I say Yeti, what immediately comes to mind? I’m sure those well-made ice chests do, but I can bet my bottom dollar you also associate the brand with a certain lifestyle, more specifically one of an outdoorsman. That lifestyle may even seem appealing or one you’d like to be a part of. That affect isn’t by accident. Yeti has embraced content marketing in recent years to grow its brand visibility. It’s honed in on creating character-driven videos that are high quality and often tug at the heart strings. As a part of their marketing efforts, Yeti produces several a year that are shared on its website, but most importantly on social media. Take The Last Best Man, for example, a video that features a daughter teaching her father to fly fish. A Yeti cooler is visible for a few seconds throughout the entire short film because it’s more about the bond between family than it is about a product. 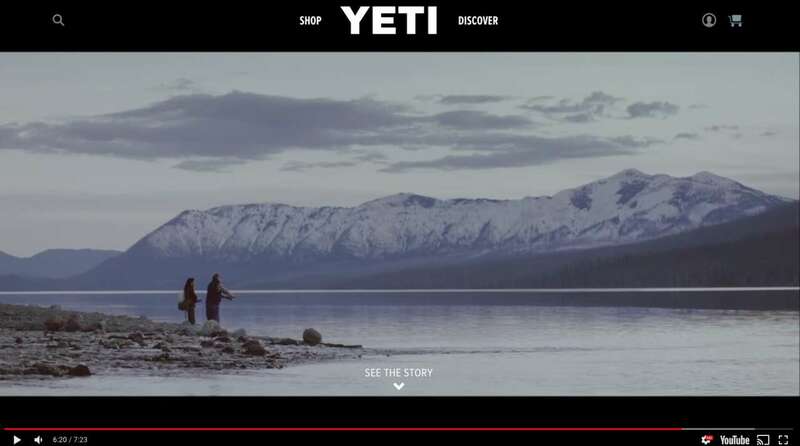 Character-driven videos, such as this one, showcase how Yeti is using content marketing to connect to consumers. The company has bought in to the idea that by producing these videos, they’ll garner a larger audience. "Sure we need to sell Yeti products," Harrison Lindsey, Yeti's content manager, said in an interview with Forbes, "but really what we’re trying to do is tell stories so people can emotionally connect with the brand." The tactic seems to be working. According to Forbes, Yeti reported $5 million in sales in 2009. In 2015, that figure grew to $450 million. Keyword research and a blog won’t result in a truly great story. That approach will produce robotic copy without the liveliness that readers want to delve into. We call companies who take that approach “content mills” or “content farmers.” They regularly produce large amounts of content solely designed to satisfy Google’s algorithms. Conversely, a team of skilled journalists will build a compelling story for your brand. According to the Harvard Business Review, “trained journalists and writers are in the best position to synthesize information, capture a reader’s attention, and uphold a critical editorial standard” in a content marketing department. How do journalists do that? It’s simply what they’ve been trained to do. Print and broadcast journalists aren’t afraid to dig deep and ask the right questions. Persistent inquiry results in rich information, which then allows them to find a unique angle on an otherwise simple topic. Throughout the production process, you can expect an experienced journalist to work quickly and be ready on time—missing a deadline is a journalist's worst nightmare. 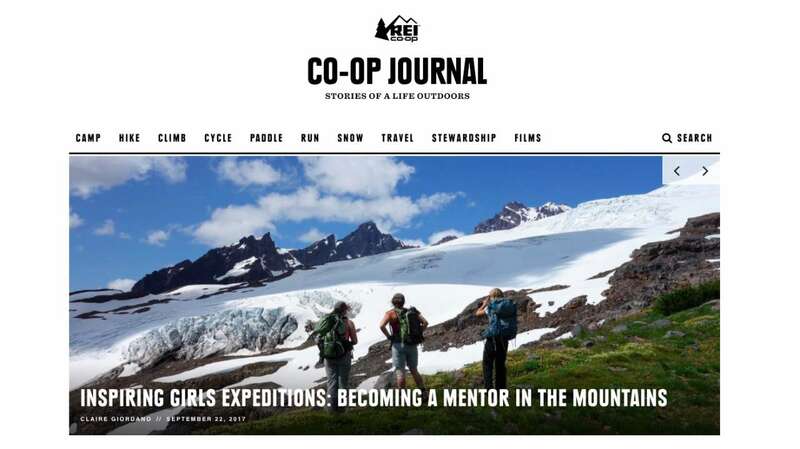 REI, a brick-and-mortar retail store, is expanding its reach to the outdoor community by producing high-quality stories written by journalists. Brands have recognized the similarities between content marketing and journalism, and have used this to their advantage. Take REI, for example, a brick-and-mortar outdoor retailer that has built an online storytelling platform. The blog’s editor, Shannon Davis, is a former editor for publications such as Climbing and Backpacker, while a team of freelance journalists produce regular, compelling stories revolving around outdoor recreation. With articles like this gear review of a climbing shoe, it’s apparent there is content marketing at work with links to the product on REI’s retail website. However, glancing at others, one would be hard pressed to recognize any sort of marketing plan in place. The stories are well crafted and present the information just as a traditional media outlet would. It’s an excellent example of how journalists are helping brands have an authentic voice and present stories to consumers in a way that builds a loyal following—which can ultimately result in conversions.